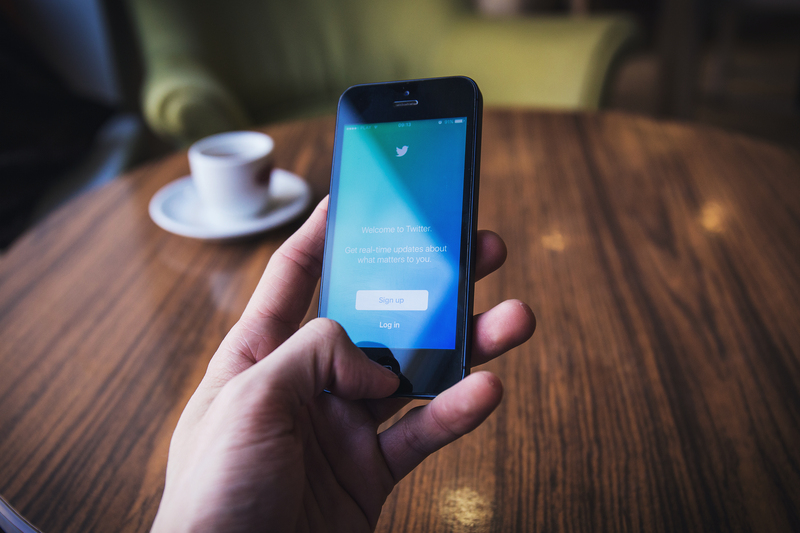 » Is Twitter your best form of CPD? Home / Advice / Is Twitter your best form of CPD? Dr Gary Jones, blogger, author and consultant shares his thoughts on the recent research on systematic review of formally-organized and informally-developed professional learning groups. Gary’s new book Evidence-Based School Leadership and Management: A practical guide has recently been published by SAGE. In my former life as a teacher, I all too often experienced the following: I would do what I hoped was a really interesting lesson which explored deeply profound truths, mixed in with the odd ‘throw away’ comment to lighten the mood. Unfortunately, my pupils would completely forget the profound truths but remember the glib, throw away comment. Despite my best efforts to learn from my experience so as to not make the same mistake in my new role as occasional speaker and blogger, similar experiences seem to be following me around. Recently I was delivering a keynote on the principles of evidence-based practice and I made an off-the cuff remark along the lines of ‘if Twitter is your best CPD, get help.’ This comment was soon ‘out-there’ on social media and the Twittersphere and was being retweeted with some commentators taking offence at the tone of my comment. Now, given that I normally go out of my way to try and avoid making inflammatory comments on Twitter, but more importantly I like to try and support whatever comments I make with some form of evidence, I felt I had let myself down. So I welcomed with open-arms the recent publication of a systematic review on formally organised and informally developed professional learning groups by Lantz-Andersson, Lundin, et al. (2018), which I hope will now allow me to make some informed comment on the use of Twitter and teacher CPD. Although the review looked at 52 studies of formally organised and informally developed online communities, I’m going to focus on the findings from the 28 studies on informally developed online communities. These studies were drawn from the US, Europe, the UK, Australia and Asia, with the studies focussing on Twitter (10 studies), Facebook (5 studies), Personal Learning Environments/Networks (7 studies), with the other six studies focussing on online platforms designed to support informal teacher interaction. So what does the review tell us about teacher participation in informally developed online teacher communities? 70 per cent of the studies saw teachers view online communities as a source of sharing new ideas. 14 studies suggested that online communication played an important role in helping teachers screen and filter practical and useful information compared to less helpful information. With teachers assuming that community members would be discerning in their recommendations and/or criticisms. Indeed, contributing to these communities was seen as being part of the process of participants developing an ‘expert sense of self’. 9 of the studies were characterised as contributing to emotional support and a heightened sense of belonging to a community. This sense of belonging also helped reduce feelings of isolation. There was a sense that members of these communities were being encouraged by their peers to take risks and discuss what had worked and what had not worked in their own practice. In most online communities a majority of participants – lurkers – did not make a visible contribution. Online communities were seen as a way of teachers developing both their social capital and professional identities, and may contribute to teachers’ sense of being change agents. 19 of the studies described interactions as ‘maintaining a professional style of discourse and confined to shared norms and common place educational understandings. The review identifies three main themes of teacher participation in online communities: as a source of new ideas; as a mechanism for filtering or curating new ideas; and, providing some form of emotional and professional help. Social media and online communities can be viewed as a legitimate sources of help and in particular being the case for teachers wishing to build social capital or a sense of professional identity. Indeed, the issue for me is not so much that teachers create informal on-line professional learning communities, but what it does tell us about teachers’ professional learning communities within their own schools. As such, social media is clearly a valued source of help for many teachers. However, this leads onto another set of questions about teachers and online communities. How many teachers use online communities? Which teachers are regularly using social media – effective or ineffective teachers? Who do teachers turn to for advice on social media, and on what basis do they make decisions? How do teachers go about filtering ideas first encountered on social media? What new forms of informal online professional learning communities are developing? The list could go on and on. Finally, will social media and Twitter deter me from making throwaway comments during presentations? Probably not. What social media and Twitter will help me do, if I’m open-minded enough, is to help me learn from such comments. Reference Lantz-Andersson, A., Lundin, M. and Selwyn, N. (2018). Twenty Years of Online Teacher Communities: A Systematic Review of Formally-Organized and Informally-Developed Professional Learning Groups. Teaching and teacher education. 75. 302-315.